Young people in the UK find themselves economically and politically marginalised; abstention is not the problem – it is the symptom. In this article, Ben Bowman argues that without effective representation, young people will continue to abstain from elections and take political action elsewhere. Young people in the UK – both the voters and non-voters – are at something of a critical juncture. They are a marginalised group that, in many ways, suffered the worst from the economic crisis: the current young generation faces the worst economic prospects of any since the Second World War. Many will hope that 2015 can be the turning point at which politicians begin to wake up to the crisis of their marginalisation. 1. Will we see policies for young people? Our answer to young abstention has typically been to counter with heavily marketed ad campaigns and a focus on elections as a good lifestyle choice. Young people who don’t vote, much like young people who are caught unemployed or out of education and training, are considered as truants who must be (in the words of David Cameron) nagged, pushed and guided back to the correct path. Snazzy posters and calls out to dutiful good citizenship have failed to resolve Britain’s abstention crisis. Young abstention is not the problem – it is the symptom. The fact is that despite young abstention, studies (which I reference in my own work) have indicated young people in the UK support elections in principle and, indeed, are found to be quite contiguous in their cynicism towards politics to the rest of the population. Between the Iraq War, the expenses scandal, bankers’ bonuses and the debacle over tuition fees, Westminster has fallen into the people’s distrust, and that goes for older citizens too. Table 1 lists some of the main issues voters have by age group. What stands out about young people is that, while older generations have continued to vote despite their cynicism, young people seem to be rejecting the ballot box in favour of other methods of political action. Voting, after all, is a tool for representation and but young people no longer consider it the only tool for political engagement. Young people can be voters, but also abstainers, dissenters, boycotters, online activists and charity workers. The diversity of political acts is one thing that characterises the newest generation of young citizens. At other age groups, voters would be offered policies to vote for, not elections as a cool lifestyle choice. So what issues do young voters find most important? What policies should we be looking for during the campaign season? 2015 finds young people in a crisis of economic and political marginalisation. This is a generation for whom stable employment, full-time contracts and home ownership have been replaced by precarious work on part-time and temporary contracts, and even unpaid internships or forced work for free. Safety nets and services for the young have been slashed while support for older generations stay fortified. Young people’s responses to polls should be taken to reflect the burden of responsibility on politicians to represent young citizens, amid a dual crisis of economic hardship on the one hand, and marginalisation from politics on the other. Young people need stable contracts, a wage they can live on, and places they can afford to live. That improved mental health care and funding for the NHS are so high on the list of preferred policies should open eyes to the effect on young people of five years in austerity measures. 2. Who will represent our diverse youth? Young people are not a monolith, yet, for some reason in discussing young politics we tend to forget that young people do not give up their gender, race, religion, sexuality or disability to fit into the neat box “youth”. It is surprising, given the last five years have been years of cuts, protests and riots, that come the election young diversity appears to have dropped off the radar at a time when, for example, black and minority ethnicity voters could conceivably decide the next election. Young people believe in elections as a way to get representation in theory, but if they don’t see the results in practice, they will take their politics elsewhere. Scholars in young people’s politics have long warned that young people are well educated, well informed on current events and well connected: they prefer horizontal forms of engagement to hierarchical representation, and activity that has relevance and clear results in their everyday lives. Despite women holding a small majority in the UK population, 77% of Parliamentary seats are held by men – and that is just one example of the unrepresentative nature of Parliament. If parties were selected in proportion to the ethnic diversity of the communities they represented in 2014, the Conservatives would have 26 black or other minority ethnicity MPs, Labour would have 49, and the Liberal Democrats 6. Instead, the Conservatives have 11, Labour 16 and the Lib Dems none. Improving young people’s representation is partly making Parliament into a body that better reflects the classes and categories of people it works for. As Eleanor Rathbone MP told the House in 1936, “If you have a Parliament which only represents one class, even if it is the majority class, I say that that Parliament is not a true picture… it is just about as much the mirror of the people as a pot of Bovril is a true representation of an ox”. Political parties seeking young votes would do well to represent young people in their appearance and must make sure their policies similarly reflect the diverse needs of young people. One thing that will be very interesting to see is whether young women are convinced by the UK’s three newly prominent Party leaders who are also women: Natalie Bennett of the Green Party, Leanne Wood of Plaid Cymru, and Nicola Sturgeon of the SNP. 3. Will key parties get young voters registered in time? At this time before the General Election in 2010, the big story in young politics was the Liberal Democrats. The Party’s pledge to vote against any increase in tuition fees was their flagship promise and on the night before the election, YouGov was polling young support for the Lib Dems at 37%. Young voters look set to punish the Party for the alacrity with which they were seen to abandon their promises to young voters. The Green Party is now on the rise, having overtaken the Conservatives as the second party for young people in the UK, and is still climbing. If the Greens are to make their gains among young people count, we should watch for Green candidates in key constituencies and university towns to act now on young voter registration. Changes to the way we run the Electoral Register have left one million voters to drop off the list, according to Ed Miliband. Labour candidates, especially in student towns, would be well advised to spend a few days in February and March at their local university or college campuses, urging young voters to register, and putting a real face to the name. The same advice should apply for the SNP in Scotland, who led among young people in December by 48% (to Labour’s 14%). As a final mention, it is worth remembering that the Conservatives are the last major party in the UK to oppose the vote at 16. 2015 may be the last General Election in which 16 and 17-year-olds are denied the vote. As I have argued elsewhere, lowering the voting age might be a useful piece of electoral reform, but it must be backed up by real, effective representation of young people and their political needs in Parliament. Without effective representation, young people will continue to abstain from elections and take political action elsewhere. If we believe elections are the way to go, now is the time to convince young people a vote means real power over policy making and effective representation in Government. 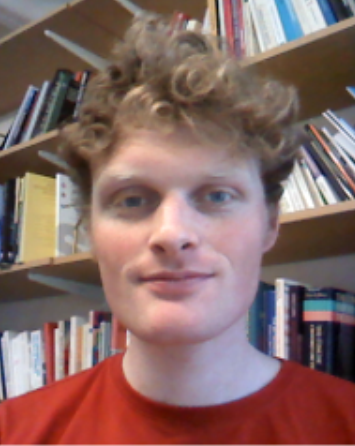 Benjamin Bowman is a PhD candidate in Politics at the University of Bath. He can be reached at b.c.bowman@bath.ac.uk and tweets from @bennosaurus.